The Supreme Court of Canada debates today whether the Canadian military has the constitutional authority to try its own members for serious crimes like sexual assault and murder — a case that some legal observers are calling a once-in-a-generation event. A military appeals court ruled last fall that the inability of soldiers, sailors and aircrew to elect trial by jury for serious crimes (those punishable by five years or more in prison) under the military justice system amounts to a violation of the Charter of Rights and Freedoms. The ruling in the sexual assault case of Master-Cpl. Raphael Beaudry has turned the world of courts martial upside-down and led to a number of cases being adjourned, postponed or pushed off to the civilian court system. The charge against Beaudry stretches back to December 2014, when he was accused of sexual assault causing bodily harm. He asked for his case be heard by a jury but was turned down. A court martial later found him guilty. But last September, the Court Martial Appeals Court ruled “civil offences are not offences under military law” — meaning serving members of the military, like Beaudry, should be allowed to elect trial by jury. In effect, the appeal court found that the military does not have the jurisdiction to try serious cases. The director of military prosecutions appealed that decision. The High Court will hear arguments today. It’s expected to reserve its decision. Rory Fowler, a retired lieutenant-colonel and former military lawyer now in private practice, said he’s not willing speculate on which way the court will jump. Either way, he said, it could have a profound impact on the military. The most far-reaching decision the Supreme Court could make, he said, would be to side with the appeals court and end the military’s power to pursue serious offences through courts martial and summary trials. 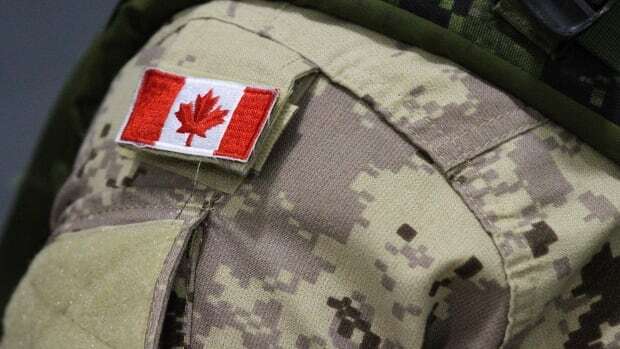 For months, the military has tried to bolster confidence in its separate system of justice by noting that it has other ways to prosecute in non-violent cases — by charging individuals with service offences that carry criminal records, for example. Fowler said that if the Beaudry decision is upheld, the military might end up using that alternative prosecution route more often — which would allow it to claim a successful prosecution in, say , a sexual assault case without actually convicting the defendant of sexual assault. The government also could get around the jury trial aspect by amending existing legislation to allow for trials by military panels, he added. That could present its own set of problems, he said, if the case is about something high-profile or politically-charged, such as a sexual assault. The country’s top military commander, Gen. Jonathan Vance, has led a crackdown on sexual assault and misconduct in the ranks dubbed ‘Operation Honour’. Gen. Vance has put in place policies and procedures and made known his expectations about holding alleged perpetrators to account. “You would have to be blind, deaf and dumb not to be aware of the chief of the defence staff’s stand with respect to sexual misconduct,” said Fowler. As part of that effort, Gen. Vance is regularly briefed on courts martial statistics and conviction rates — which could, in the current climate, put pressure on future military panel trials in the event the government revamps the system. “There is potential for a perception that panel members would be influenced by the political objectives and perception of the senior leadership … up to and including the chief of the defence staff,” said Fowler.